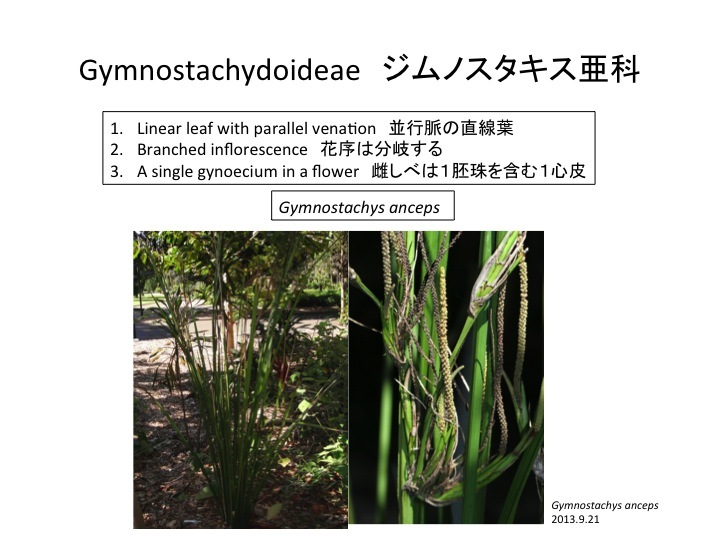 ジムノスタキス亜科はサトイモ科の最基部で分岐し、ミズバショウ亜科と姉妹群。Gymnostachyoideae is a basal subfamily in the Araceae and sister to Orontioideae. 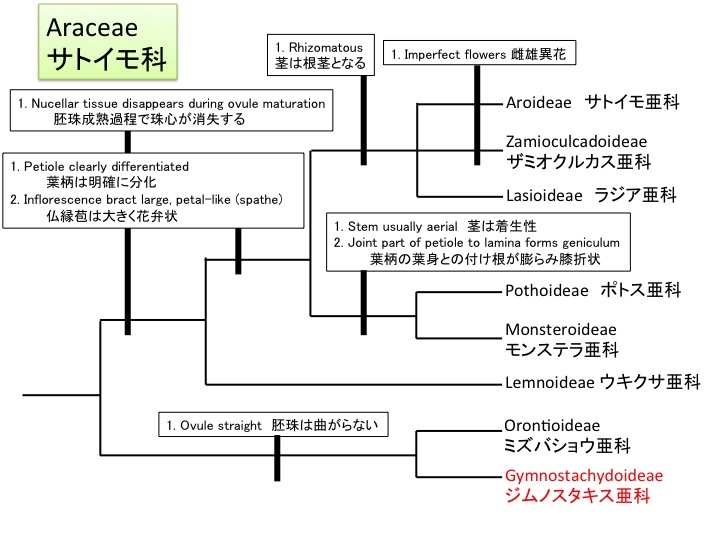 東オーストラリアに固有で１科１属１種。It is endemic in eastern Australia and 1 genus and 1 species in the family. 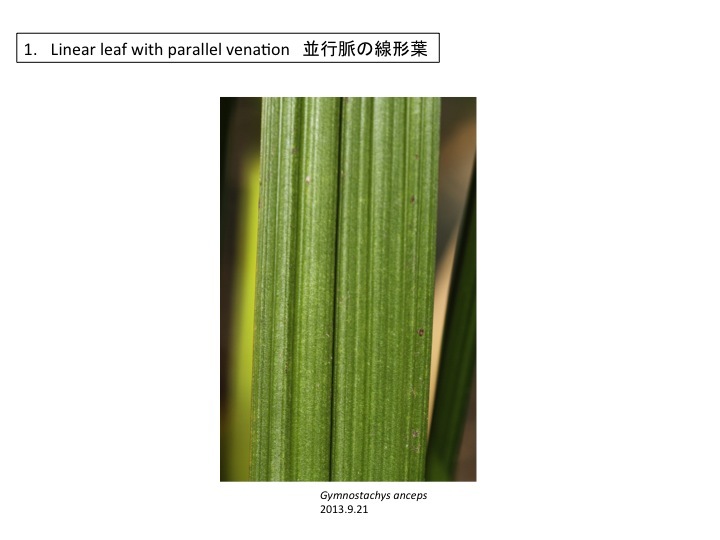 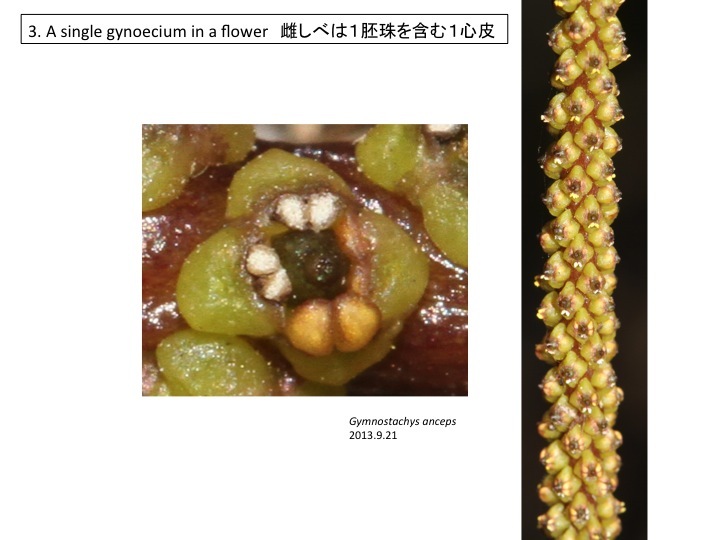 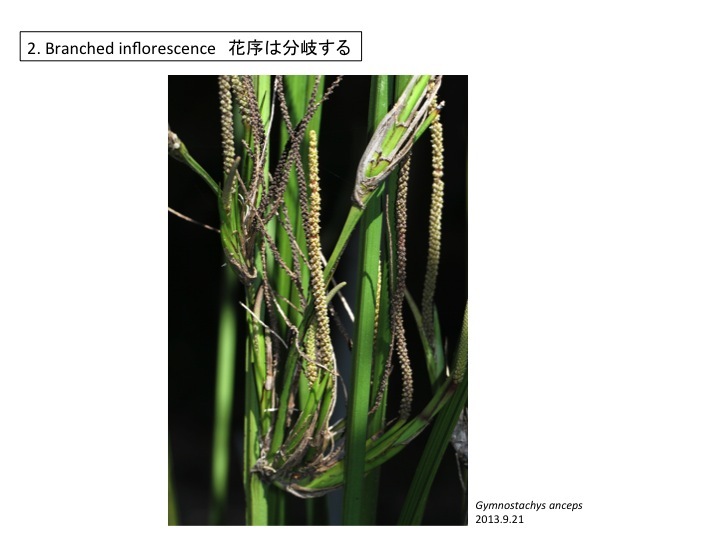 線形葉はサトイモ科の中で異色。Linear leaf is special to Gymnostachys in the Araceae.